Preheat oven to 400 degrees. Move oven rack to second from top position. Spray 12 muffin cups with non-stick spray or use muffin cup liners. 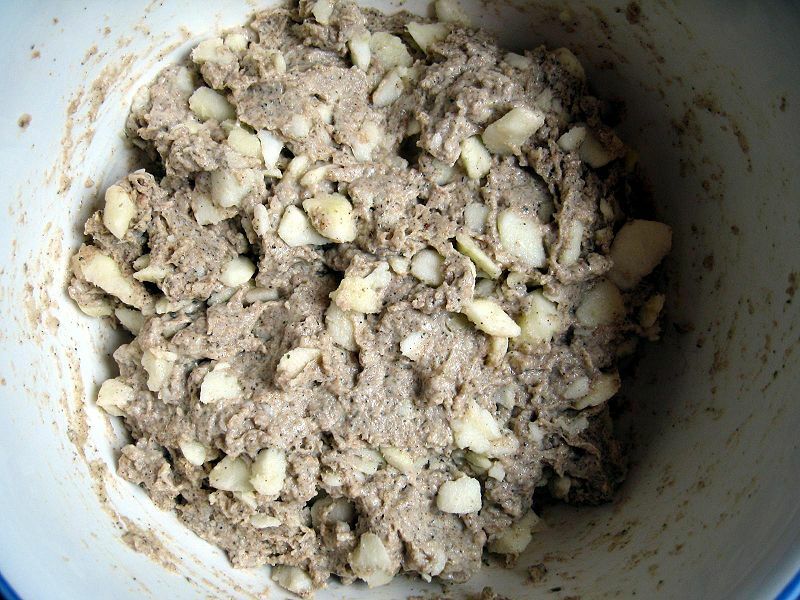 In a large bowl, combine dry ingredients including the apple. In a medium bowl, combine wet ingredients using ¼ cup water. Mix well with mixer or by hand. Make a well in the dry ingredients and add the wet ingredients. Mix well. If the mixture is too thick (barely moves or dry looking), add remaining ¼ cup water, one tablespoon at a time until batter is neither runny or too dry. Divide the batter evenly into the muffin cups, using an ice cream scoop or large spoon. 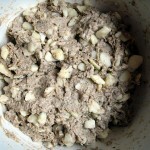 Add streusel topping if desired. Bake for 12-15 minutes; tops will be slightly browned. A toothpick inserted in the center should come out clean. Do not over-bake. Remove from oven, let sit in pan for five minutes and then transfer muffins to cooling rack.